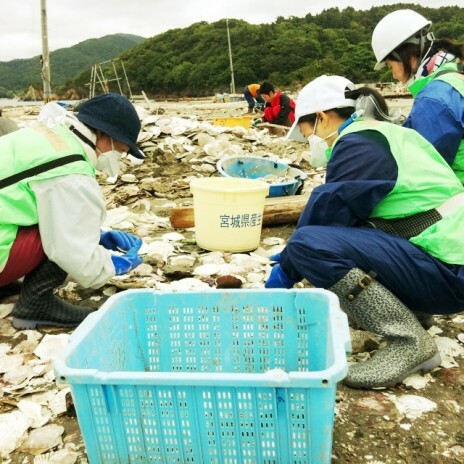 Since March 21, RQ has been supporting the earthquake affected areas in Sanriku region of northeastern Japan, which was seriously stricken by the 3.11 earthquake and tsunami. 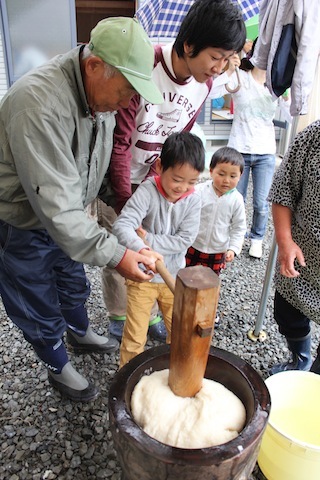 We first set up a base in Tome on March 21, followed by the additional bases in Kahoku, Karakuwa and Utatsu by the end of April. 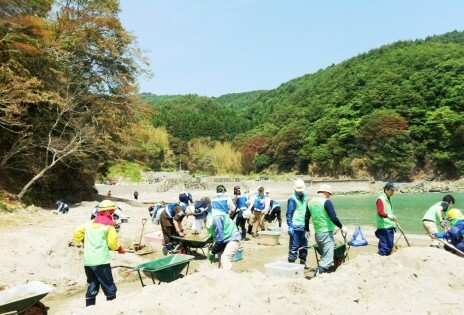 These four Volunteer Centers (VCs), all in Miyagi Prefecture, have served as RQ’s operational bases for our unique activities. RQ is purely a volunteer organization, and there is no permanent salaried staff. 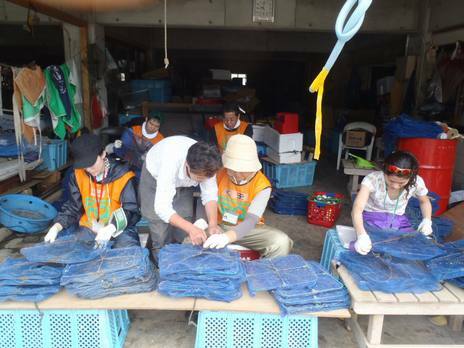 We are supported by donations and the hard work and initiatives of our volunteers, who are eager to help the Tohoku earthquake sufferers in Miyagi Prefecture. Any work you do in RQ will be done in cooperation with others. No activity can be accomplished by a single individual. To take part in any RQ activity means to participate in the whole RQ activity! 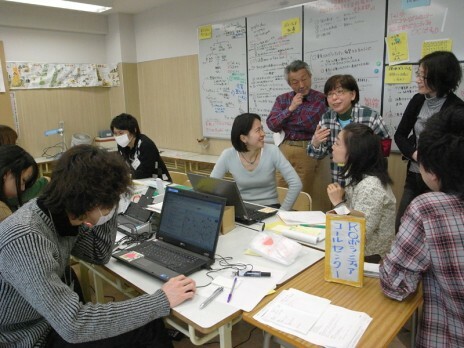 When you arrive in Tome, the administration staff (“Soumu” in Japanese) will be the first to greet you. They are the ones you seek for help when you have any problems or need any advice. 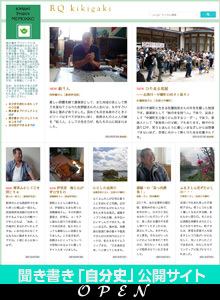 In addition to being in charge of the reception desk, “Soumu” works on coordinating the activities and volunteers with the other VCs, communicating with Tokyo HQ, public relations, accounting, archiving, behind-the-scenes support so that the volunteers can work comfortably, and conveying up-to-date information and making any necessary requests to Tokyo HQ. 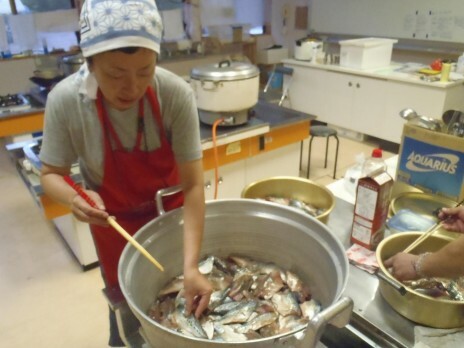 RQ kitchen staff prepares three meals for the volunteers every day, and can be considered as “the volunteers for the volunteers”. 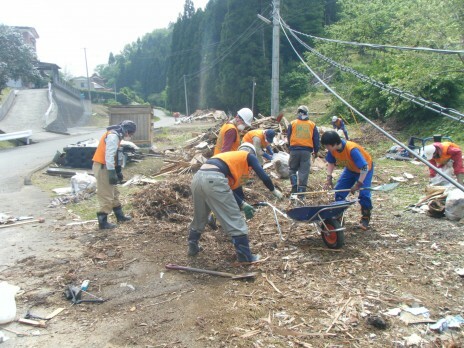 They provide a great amount of power, or “Genki (元気)”, to the active volunteers. The meals are prepared using a small portion of the donations RQ receives, so the dishes are quite simple. RQ’s friends and neighbors in Tome and other VCs, other supporters and fellow members often bring in food supplies to RQ’s kitchen. The quality of the meals cooked by Kitchen has been maintained by their sincere support. We first ask the local people in the affected areas to find out what kind of support is necessary, then start working on clearing/cleaning the damaged sites and properties as requested. Our hope is that, when the place has been cleaned, the local people might feel motivated and look forward to restarting their lives. Supporting the local fisheries, a key industry in the region, is one of the most important activities of RQ. We work at fishing ports and on the beaches to retrieve fishing equipment and clear the wreckage. We also help with cleaning and fixing the damaged fishing nets. Repurchasing of fishing equipment costs a great deal, so our retrieval and cleaning efforts help to reduce such expenditures. We also help with oyster farming, which takes one year from seeding to harvesting. Communicating with the local fishermen and their families while participating in such activities is one of the most precious experiences for us volunteers. 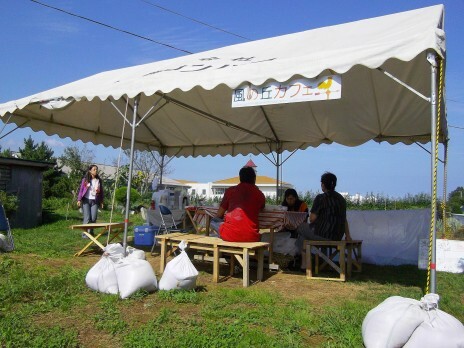 We organize and carry out unique projects such as “café” and “foot baths” to provide the local people places for recreation and relaxation to regain strength. By providing a relaxed atmosphere, the volunteers can get to know how the local residents feel and what they really need. We also give a helping hand to cultural events and seasonal festivals held in the region. 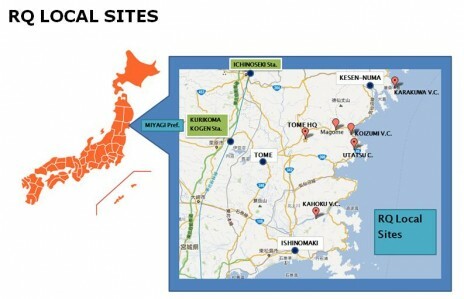 Tokyo HQ provides backup support to Tohoku HQ (Tome) and the other VCs. It is the main contact point for all inquiries from anyone interested in RQ. 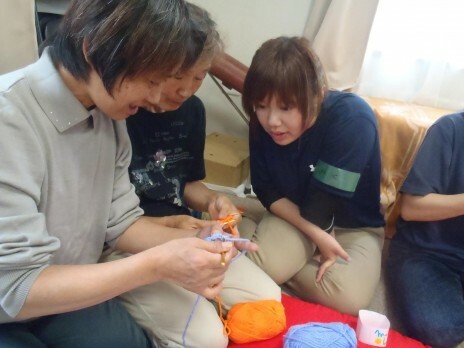 Tokyo HQ also offers briefing sessions for people who are interested in our volunteer activities. 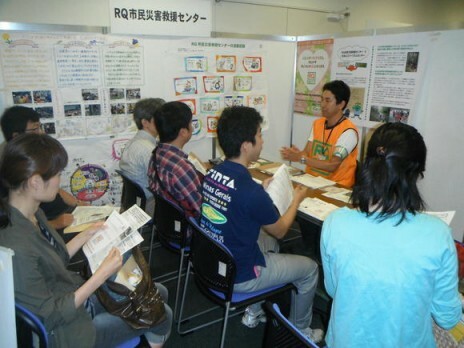 RQ Tokyo participates in various events and runs the RQ website to introduce our activities to the world. 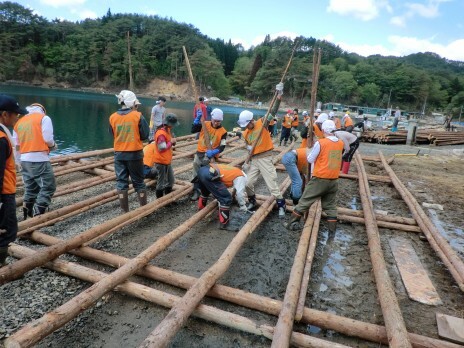 Documenting the developments of the disaster area as well as RQ’s support activities is also undertaken by the team in Tokyo HQ.